If you're a driver searching for new cars for sale that will add a little luxury into your day-to-day driving excursions, explore the 2019 Genesis G80 and all that it has to offer today! 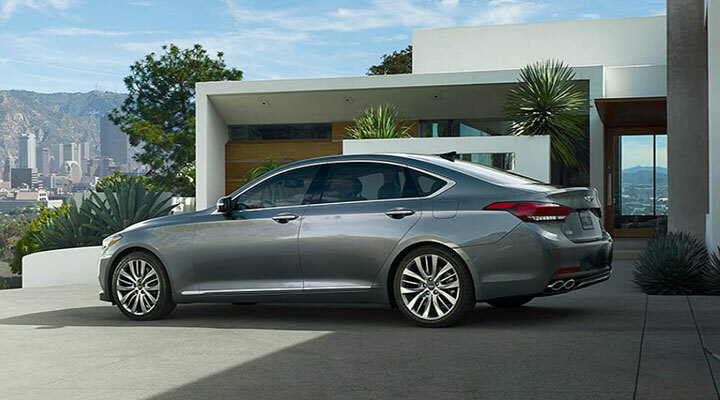 Our new and used Hyundai dealership has a range of Genesis G80 models to browse, and we will not only review the comprehensive warranty that comes included with your eye-catching new purchase but the systems that come standard and those that can be added on! Contact Premier Hyundai of Tracy to learn more or simply make your way over from Stockton to test drive a 2019 Genesis at our convenient Tracy, California location. 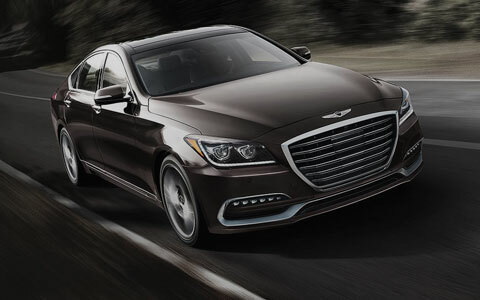 Our sales department in Tracy, CA is up-to-date on all the safety systems this 2019 Genesis model has to offer, and we encourage you to get in touch with our dealership that serves Livermore to learn more! Premier Hyundai of Tracy invites our Livermore, Modesto and Stockton, CA neighbors to shop our 2019 Genesis G80 inventory onsite before dropping by our Tracy location to learn more. We provide driver-centric experiences that ensure all drivers can fulfill their auto needs, so don't hesitate to contact our professionals today! Trade in your current vehicle and step up to a model that delivers power when and where you need, finance a 2019 Genesis G80 from our new and used dealership near Modesto, CA today! The 3.8-liter GDI V6 engine boasts a horsepower rating of 311 at 6,000 RPM while the 3.3-liter Twin-Turbo V6 option brings that rating to 365. For new car shoppers in Tracy, California that are interested in top-of-the-line power, the 5.0-liter GDI V8 and its 420 horsepower rating is for you! 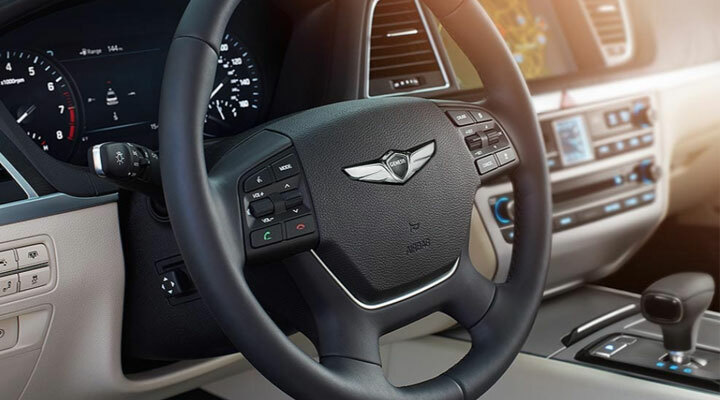 Contact Premier Hyundai of Tracy to schedule a test drive so that you can experience the 8-speed automatic transmission with SHIFTRONIC® for yourself! Treat yourself to a vehicle that is equipped with a range of impressive technological advancements, dominate the roads of Livermore, California with a 2019 Genesis G80. This sophisticated ride boasts a Driver Information System, navigation features and a Head-Up Display so that pertinent driving information is displayed right in front of you. 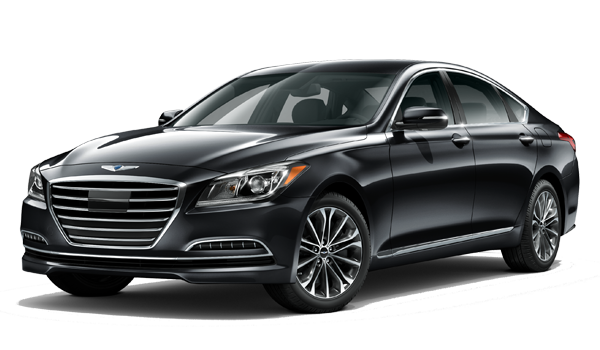 Learn more about the features this Genesis has to offer, contact our staff about the integrated memory system, Lexicon® premium audio system and rain-sensing windshield wipers!